Enjoy Utah! 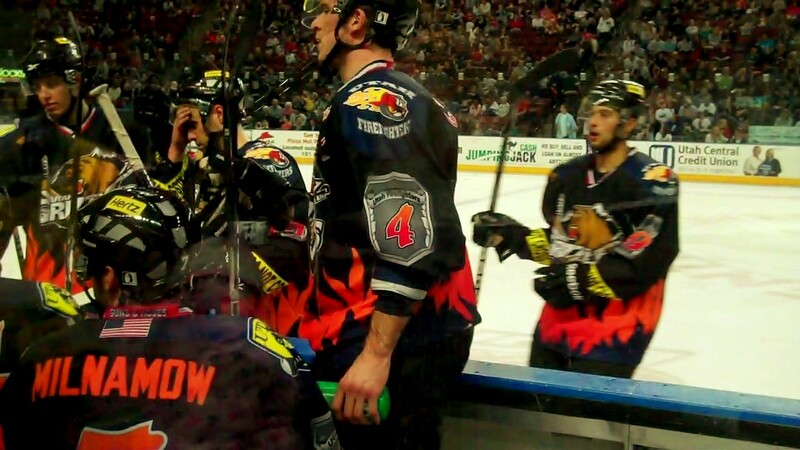 : WIN Utah Grizzlies tickets! If you have never been to a Utah Grizzlies hockey game, you are MISSING OUT! If you HAVE been to a hockey game, you know how much FUN they are! Going to the Utah Grizzlies hockey games is one of our family's favorite activities! Learn more about the Utah Grizzlies EXPERIENCE here! Enjoy Utah! has 9 tickets to give away! CONTEST CLOSED! Congratulations to all of our winner! The first pair of tickets: Congratulations to Jodie Turner! The second pair of tickets: Congratulations to Andrea Campbell! The family five-pack of tickets: Congratulations to Marcy Chidester! Each entry will stay in the drawing until the last set of tickets has been given away, which makes the final deadline to enter to win tickets Tuesday March 8th at 11:59pm. One entry per person, although each person is allowed extra entries (See below). Winner will be chosen at random using random.org. All entries are put together to choose winners each week. Tickets are good for any game during the 2010-2011 Utah Grizzlies season. Subscribe via email to Enjoy Utah! Watch for other extra entries as posted at random times. You will also receive an extra entry for posting a comment on this page, and/or our original Utah Grizzlies post. (You get one entry per Grizzlies post you comment on! That's two extra entries just for commenting on the posts! Thank you to Adrian Denny with the Utah Grizzlies for sponsoring this giveaway! whoo!! My boys would lov this! Awesome!! My family would LOVE this!! Would love to win this my kids love hockey games.